Christian Ebbin — who recently won the Volvo Gill Optimist British and Open Championship Senior Fleet — will be looking to continue that form. 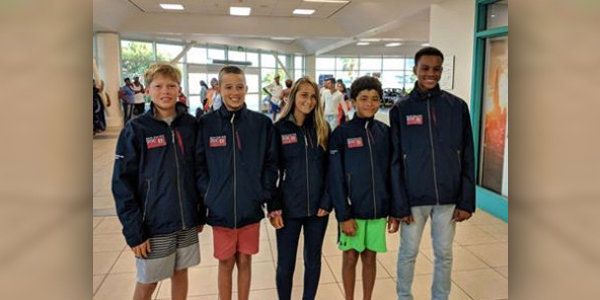 Also representing Bermuda will be Sebastian Kempe who finished 15th overall in the Championships, Ahzai Smith, Magnus Ringsted and Leyli Walker. ***** Sport tourism *****is where Bermuda hosts Sports , simply because we have all the facilities. Once the Buck leaves the island its gone. yes, i don’t know why we don’t host more intl sailing events we proved with AC that we can rise to any challenge. the AC template was great for Bda coffers and advertising / tourism. get on it BTA!